Ronit and Shuli Madmone source out the best spices from around the world, import only the freshest products and then custom grind where required. They also create custom blends of spices you won’t find anywhere else. 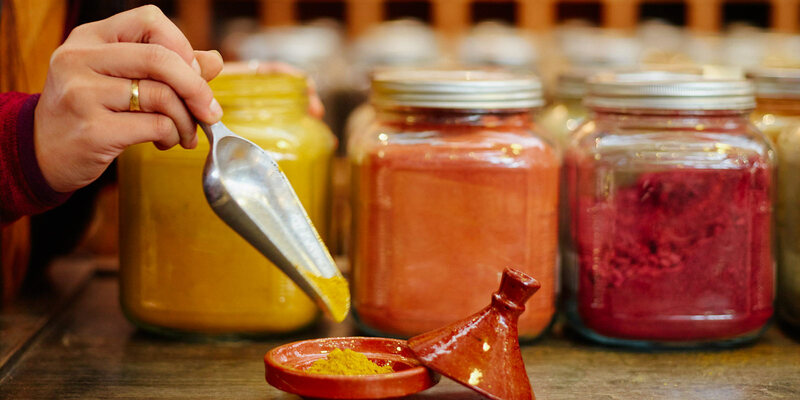 Nearly 30 percent of their spices are certified organic. From the usual to the exotic, allspice to vanilla and ajowan to zhug, Whole Spice also offers a broad scope of salts and mushroom powders. Both Ronit and Shuli spend extensive time onsite, educating and sharing tastes and recipes with customers. They have more than 300 different spices and 50-60 blends available, both bulk and pre-packaged, and all in small quantities to ensure freshness.